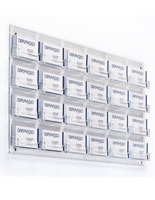 These 24-pocket wall mounted business card holders are great for dispensing contact information by reception desks or on doors. 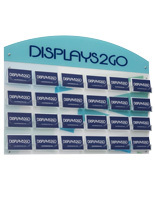 The office displays are made of strong acrylic with a modern black finish that will match any environment. 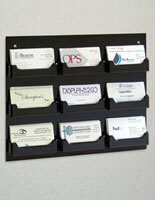 Included with these wall mounted business card holders, is mounting hardware for extra convenience. 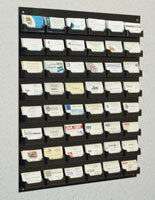 Each acrylic rack can hold up to (1400) cards with contact information, making them a great choice for any company. 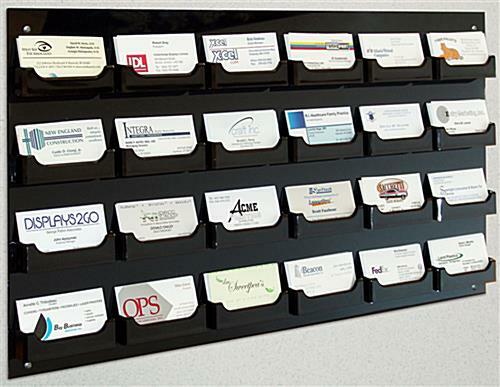 The business card holders for reception desks measure 24.8" x 12.8" but are only 1" in depth, so they can fit in small rooms and hallways. 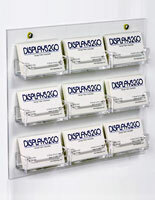 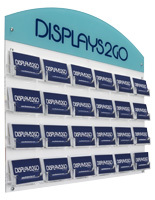 These office displays are also available with a clear finish or with a different compartment count. 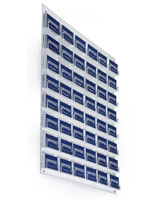 24.8" x 14.5" x 1.0"